A better way to design. "Buildings Are for People" is an eye-opener that enlightens the way we think about design. This is a book about creating people-friendly and environment-friendly architecture. Exploring building surfaces from their physical, sensible and operative perspectives – how they define space, afford experiences, and impact environments – “Buildings Are for People" reveals how building surfaces, shape and materials "interact" with people and the environment. New possibilities come to light. "Buildings Are for People" brings together the essence of both "sustainable design" and "experiential design". Yes, sustainability and human welfare are among architecture's mainstream intentions, however, our success turning those intentions into sustainable and human-friendly buildings is far from reality. Such designs often fail to achieve their intended goal. To illuminate this fact, "Buildings Are for People" uses built examples to provide a sobering dose of reality. Central to this focus, it addresses key issues in education, the profession and the industry's institutions to highlight some of the roadblocks. Step-by-step, a holistic approach to design emerges – Human Ecological Design – a methodology to enhance the design process with a fresh analytical perspective. The author's photographs and drawings articulate the design methodology, illustrating the text and stimulating the senses. 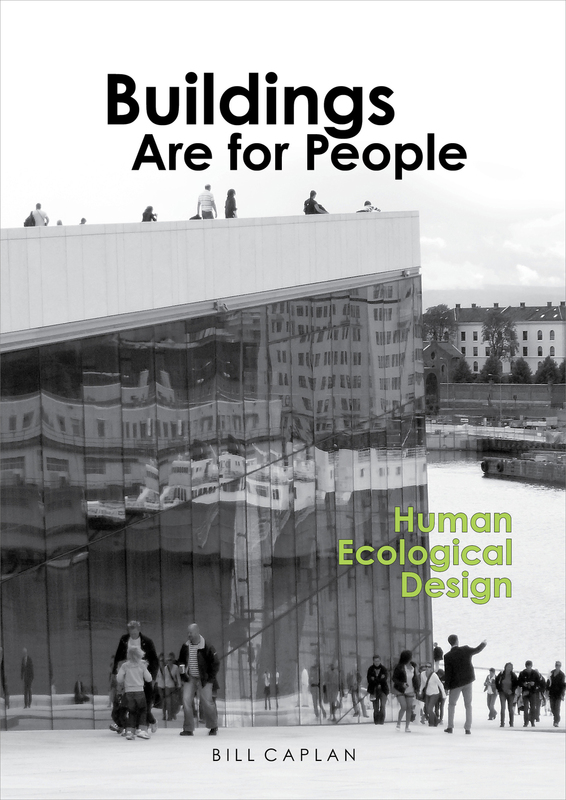 "Buildings Are for People" is about design – designing people-friendly and environment-friendly buildings. It is written for architects, planners and policy makers; whether practitioner, educator or student. It makes a great gift for practicing and newly minted architects or interns and urban planners. As one reader put it, "read this book first." Distributed in the US & Canada by IPG.